“Artistic literature is called so because it depicts life as it really is. Its aim is truth—unconditional and honest. A writer is not a confectioner, not a dealer in cosmetics, not an entertainer; he is a man bound under compulsion, by the realization of his duty and by his conscience. To a chemist, nothing on earth is unclean. A writer must be as objective as a chemist. “It seems to me that the writer should not try to solve such questions as those of God, pessimism, etc. His business is but to describe those who have been speaking or thinking about God and pessimism, how and under what circumstances. The artist should be not the judge of his characters and their conversations, but only an unbiased observer. “You are right in demanding that an artist should take an intelligent attitude to his work, but you confuse two things: solving a problem and stating a problem correctly. It is only the second that is obligatory for the artist. Stating the problem correctly, not solving it. That could be interpreted as meaning the author should bluntly state it, but we know from Chekhov’s writing that he means show it without commentary. Flying down to San Diego over the weekend I read a wonderful example of this by another writer, The End of the Affair by Graham Green. The narrator reveals himself to be a shallow, jealous man utterly blind to the fact that he’s destroying the best thing in his life. Green knew to simply let the narrator dig his own grave. Brilliant. I’m just back from the Historical Novel Society conference in San Diego. I can’t recommend this conference enough for those interested in writing historical fiction or fans of same. The panels I attended were all excellent, provocative, and there were no stars, all were peers talking shop. I enjoyed mine as well. 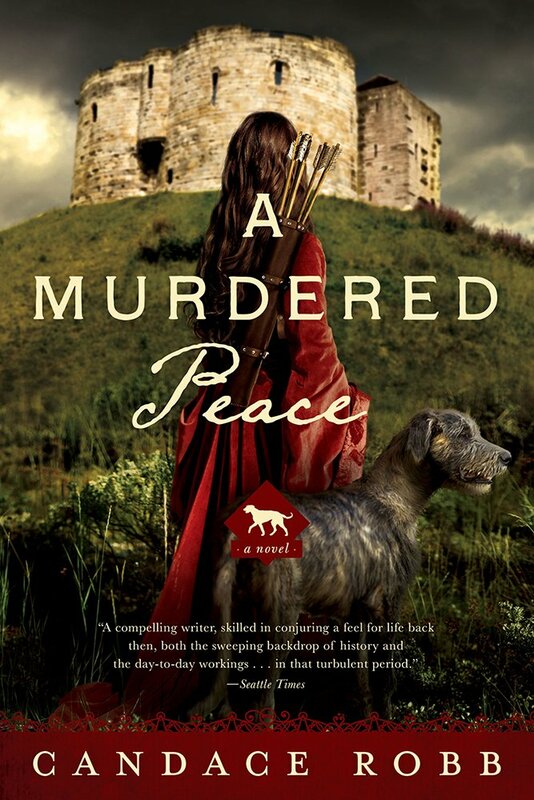 I even had a chance to thank Cecelia Holland for being my inspiration so many moons ago–her book The Firedrake reassured me that one could get published writing historical fiction that was realistic. She still inspires me. queen never sinks into melodrama. This is a passionate, intelligent novel. I would add that as a Yorkist, I was a hard sell on Margaret. The book is out now–enjoy! And incidentally, Susan and I will be on a panel at the Historical Novel Society conference in San Diego (17-19 June), together with Chris Gortner and Anne Easter Smith–our topic, Whose Side Are You On? : Turning the Antagonists of History into Sympathetic Protagonists. Hope to see you there!